The parents of a slain Democratic National Committee staffer are suing Fox News, claiming writers and editors knowingly and maliciously spread false information about their son's death. 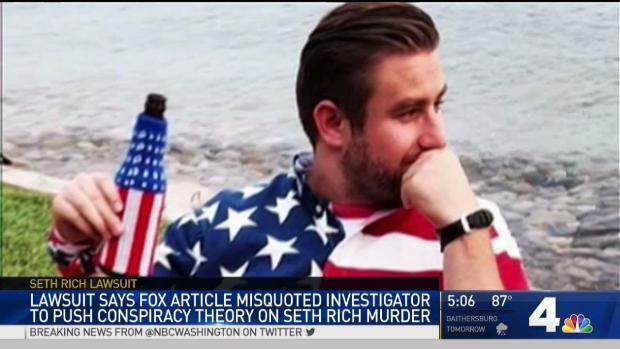 Police believe Seth Rich was killed during a botched robbery in July 2016, but conspiracy theorists seized on the incident as something more sinister. On May 16, 2017, Fox News published a story that claimed Rich was in contact with Wikileaks and leaked emails from the Democratic National Committee to the website. In their lawsuit, Rich's parents say their son never leaked documents to Wikileaks. Fox News later retracted the story, saying it did not reach the outlet's ethical standards. A man who does private investigation work says the White House played a role in falsely quoting him in a story on the killing of Seth Rich. News4's Chris Lawrence has an update. Mary and Joel Rich are suing Fox News for inflicting emotional distress, interference with a contract and negligence. They are seeking $75,000 before costs, punitive damages other fees, according to a lawsuit filed in New York. Mary Rich can no longer work because of the emotional stress from her son's murder and the false story, the lawsuit says. Mary and Joel Rich wrote an op-ed in the Washington Post after the story was published, calling the death of their son a "nightmare" and asking people to "stop politicizing" their son's death. Fox retracted the article on the same day, the lawsuit says. They wrote that instead of having time to mourn their son's death, they are responding to some reporters' questions about whether or not his death was part of a conspiracy theory related to him allegedly handing DNC emails over to Wikileaks. They called the theories "baseless" and asked people to stop causing them "unbearable" pain. "Seth’s death has been turned into a political football. Every day we wake up to new headlines, new lies, new factual errors, new people approaching us to take advantage of us and Seth’s legacy. It just won’t stop," they wrote. "The amount of pain and anguish this has caused us is unbearable. With every conspiratorial flare-up, we are forced to relive Seth’s murder and a small piece of us dies as more of Seth’s memory is torn away from us." 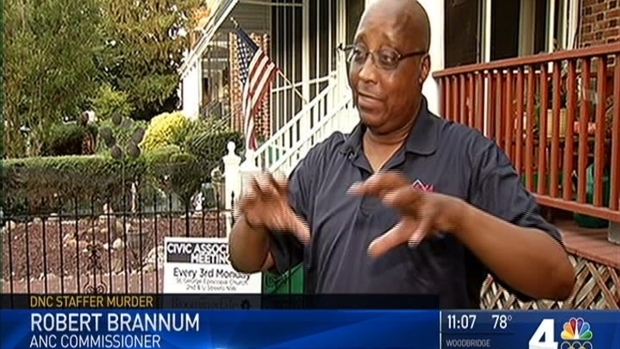 Community leaders in the Bloomingdale neighborhood of Northwest D.C. are seeking safety upgrades after 27-year-old Democratic National Committee staffer Seth Rich was shot and killed there Sunday. DC Water is providing a free ride service in area. Call 1-844-378-4636. News4's Jackie Bensen reports. A Fox News spokesperson said they could not comment on pending litigation. The Riches also named Fox reporter Malia Zimmerman and Fox News "contributor" Ed Butowsky in their suit. However, Fox News denied that Butowsky was ever a contributor, stating he was only a guest. The claim that Butowsky was a Fox News contributor was "wrong" throughout the lawsuit and in a press release from a PR firm on behalf of the Rich family's lawyers, the Fox News spokesperson said Wednesday. Butowsky told NBC Washington on Wednesday morning that he didn't do anything wrong, and that while he offered to pay for a private detective for the Riches, he did not participate in writing the article. What happened to Seth Rich was terrible, he said, but added that because he didn't write the article, the claim that he inflicted emotional distress was "preposterous." Butowsky said he gave the private detective "some money up front." "I don't make any comments into Seth's murder," he said. "Mr. and Mrs. Rich should find a way through their grieving to be honest with people in this country... I hope they do. They're very nice people and they're in a terrible situation."